Item # 314248 Stash Points: 5,495 (?) This is the number of points you get in The Zumiez Stash for purchasing this item. Stash points are redeemable for exclusive rewards only available to Zumiez Stash members. To redeem your points check out the rewards catalog on thestash.zumiez.com. For mellow concave and quick pop, reach for the Thank You Daewon Lambo Days 8.25" Skateboard Deck. Moderate concave and wheel wells help aid with flip tricks while leaving space for loose trucks and the wide, moderately pitched kick tails provide quick pop and stable stalls. 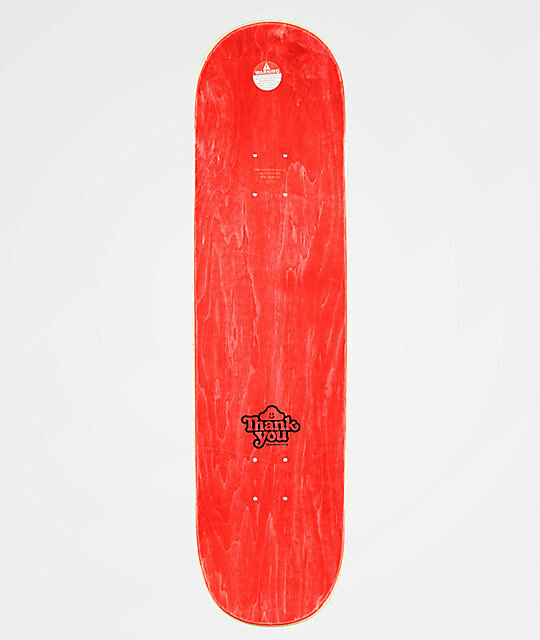 Finished with a slightly shortened, 14" wheelbase, this deck is ideal for quick reverts and maneuvering through tight technical sections with ease. 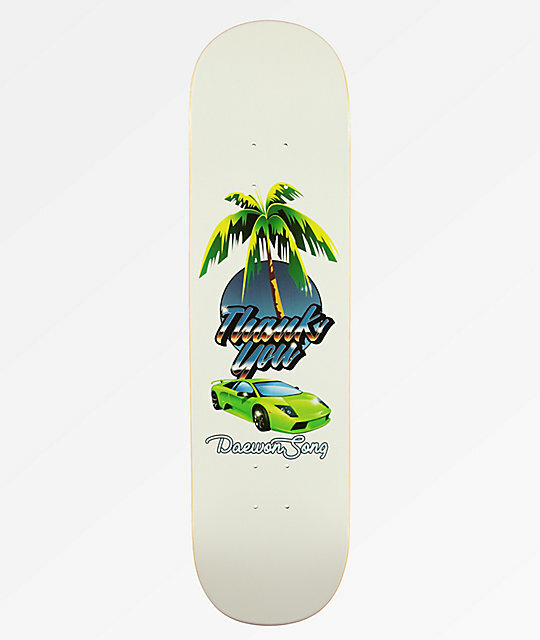 Daewon Lambo Days 8.25" Skateboard Deck from Thank You Skateboards.